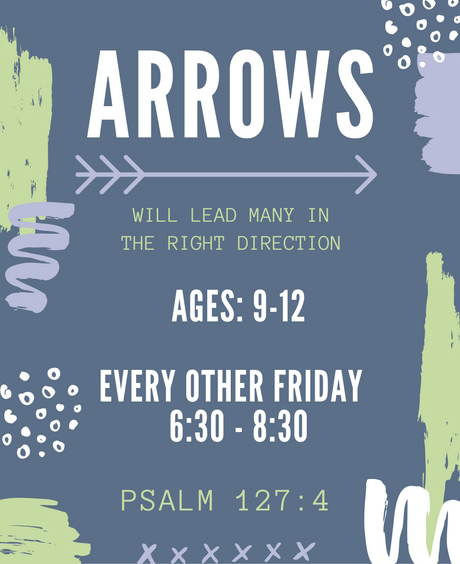 This group, called Arrows, meets every other Friday night from 6:30PM-8:30PM. Arrows includes children ages 9 to 12, an age between childhood and teens when shyness, puberty, self-confidence and other emotions can be trying. The group is designed to address the specific spiritual and cultural needs of this age group through Bible Study, games, and outreach activities. All are welcome! For questions or a schedule of meeting dates, please email the church office at ccfoffice@ccfcca.com.